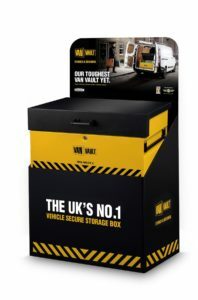 Research by Van Vault, the originators of in-vehicle secure storage, has unveiled surprising results, providing further insight into purchasing habits of its trade customers. In recent years the overall value of internet retail sales has steadily increased. According to latest statistics (from the Office for National Statistics) online sales in February were up 9.4 per cent year-on-year, currently running at 17.6 per cent. Online sales have reached a value of 1.19 billion pounds. 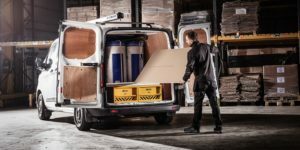 Despite this, the study commissioned by Van Vault, revealed that merchants are going against the current retail grain, with stores being the first choice for tradespeople, rather than online. 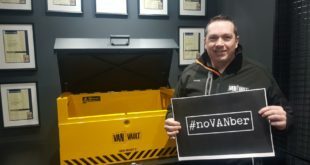 As the UK’s number one brand for containers that store and secure tools in vehicles, Van Vault based its independent research on 300 interviews with tradespeople. 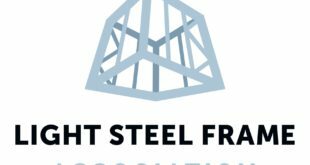 The survey revealed that 41 per cent of participants prefer to buy secure storage solutions in-store from a local or specialist retailer. With 38 per cent claiming that they purchase goods from national brands such as Wickes or Screwfix. With 51 per cent of UK consumers currently preferring to shop online rather than in-store, these results were certainly surprising, but not unusual. Danny Hudson, Managing Director at Heat Group Supplies, a Merchant in Peterborough and a Van Vault distributor good visual merchandising is important. He comments “Having a product physically on display is quite striking in the trade counter environment and has, without doubt increased sales but also sparked other conversations and in turn sales for other product types. Deborah Hunt, Marketing Manager at Van Vault, adds “Merchants have a vital role to play when it comes to providing customers with advice. Our report found that 38 per cent of tradespeople rely on merchants / stores for recommendations and information and 1 in 4 seek expert advice from a member of staff. Celebrating its 21st anniversary this year, Van Vault is the UK’s premier brand of containers for storing and securing tools in vehicles. 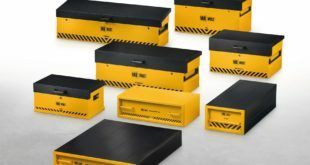 The brand offers a range of eight vehicle storage products, each designed for use in different types of vehicles, as well as a selection of on-site secure storage which are stocked by a range of distributors across the UK. Van Vault Health Brand Check. Independent consumer research carried out by Van Vault.